i was painting and had the tele as background noise. that saddam is confirmed dead. this is the most political post i have ever written. i still think the original is the best. 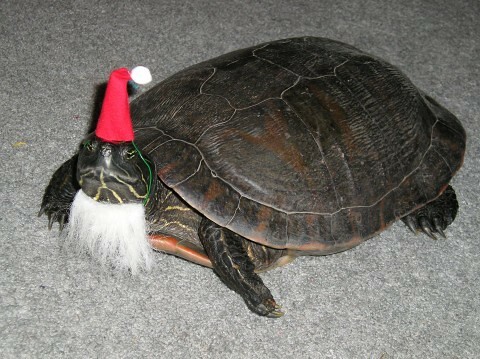 santa turtle!, originally uploaded by stephiblu. its so cute + funny! this is not my photo or my turtle. 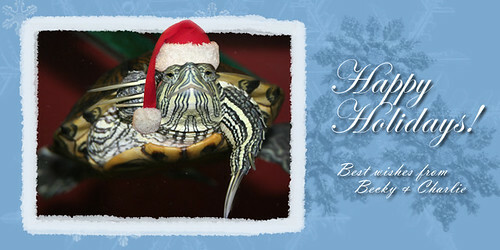 turtle holiday photos care of flickr search= turtle christmas, and turtle santa. i bet you can guess what i am doing this afternoon! william’s house is decorated with snowflakes but maybe……. Christmas Card 2005, originally uploaded by ravyn23259. happy christmas, originally uploaded by fotografisch.at. cute shot of a turtle and a christmas tree.